You might ask, “Well, how can your samples help me?” If you want to learn how to write a book analysis, or find plenty of great ideas for your essay, a sample is the magic wand. Look at the paper structure, pick the most inspiring ideas, consider transitional phrases, and take note of the way the author approached this particular topic. By the way, we must inform you that copying the text of this “Flowers for Algernon” essay to your paper may be considered plagiarism, so use it as a source of inspiration. Good luck! What is the role of memory in the novel Flowers for Algernon? How do Charlie’s flashbacks further the general themes of the novel? “Flowers for Algernon” is a story of a life lasting in an experiment, a story of insight, an understanding of your own defectiveness and inferiority, of finding yourself, of understanding of the integrity, of how important is to find your own place in the world and how the world is hostile to those, who are different. This novel can be attributed to those that change the usual views and beliefs, to those that shake to the core and leave a trace in memory, to those that make you think about your own life and purpose. The protagonist of the novel is Charlie Gordon – a mentally retarded middle-aged man. He has a lot of friends, a job and a dream to become smart so that his mother can be proud of him. But sometimes it should remain as a dream. Once Charlie’s wish came true, he realized that his friends are not that good as he thought they are, the world lost its appeal, it became increasingly clearer to show all the faces of the spectrum. Charlie began to realize his unlikeness to other people. He began to satisfy the irrepressible thirst for knowledge, absorbing more and more books and scientific works. Soon his IQ soared to unprecedented heights. But Charlie was alone and more clearly aware of his isolation from the world and society, knowledge could not fulfil a black void in his soul. So Charlie realized that happiness is not about being smart, it’s not the basic condition for being meaningful. Charlie began to newly recognize himself. Before the operation, he did not remember much of what happened last week. After the operation, the flow of memories and flashbacks flooded the poor fellow with the speed and inexorability of the mountain avalanche. Charlie remembered his childhood, his family, schooling, getting a job, getting into a school for the mentally retarded. He could watch the behaviour of himself and people around him. He understood the reasons behind his desire to become intelligent, and he also learned quite a lot about his family. And what he has learned is capable of plunging into shock. It is difficult to imagine how dangerous is to have a family where one of the parents has an obsession with one of the children, while the second lacks the determination to stop the spouse (Keyes, 1981). The novel clearly shows the two extremes – a very stupid and very smart man, both of them reject society as unlike the vast majority, the society does not understand them, and therefore does not accept. Above the backward laugh, geniuses are afraid (Keyes, 2004). All these facets opened for Charlie, and he realizes that a brilliant mind is not the most important thing, not a guarantee of a happy and fulfilling life. No matter what level is your intelligence, it is important – what you are inside, that you represent yourself as a person. The novel by Daniel Keyes contains an important issue of the life of society, shows us that despite all our technical development, we still cannot accept people who are different from us, we are still emotionally imperfect (Macintyre, 2013). The society is not ready to interact with mentally deficient people and prefers to hide them in special institutions to protect themselves from them. Perhaps someday we will learn to be more tolerant and humane towards not only those who differ from us due to some peculiarities, but above all to ourselves. Keyes, Daniel. Flowers for Algernon. Toronto, 1981. Keyes, Daniel. “Algernon, Charlie, and I: A Writer’s Journey”. A Harvest Book, 2004. Macintyre, Alasdair. A short History of Ethics. Short Books, vol.2, 2013. p.13-15. “Flowers for Algernon” is a great novel written by Daniel Keyes. Meanwhile, this novel may be interesting and engaging, but writing a book analysis is a tough task. 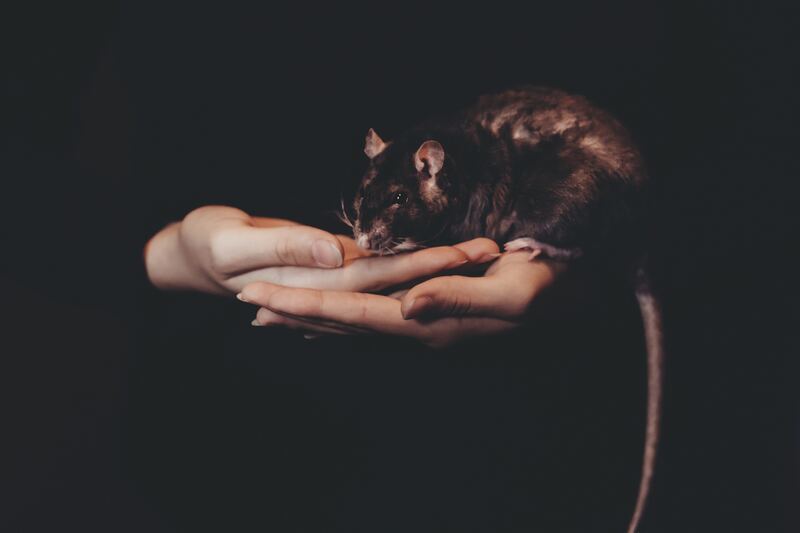 If you have never written a book analysis, or are experiencing some sort of writer’s block, feel free to read this “Flowers for Algernon” essay sample. Moreover, we have a lot of samples on other topics that you may find helpful. You may like the following literature analysis essay samples: “Bleak House” essay sample, “Crime and Punishment” analysis, and “The Picture of Dorian Gray” summary sample. All samples that you can find on our blog are written by the writers that work for GPALabs.